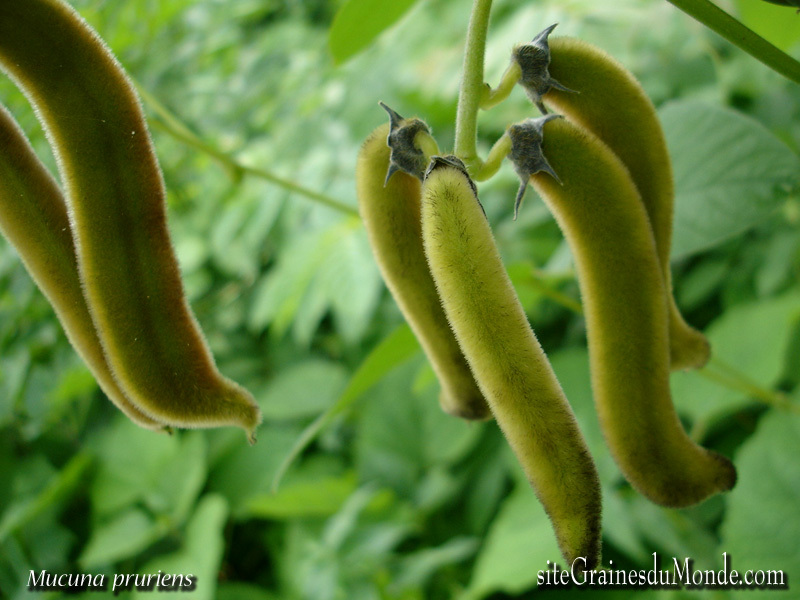 Mucuna pruriens is a tropical legume known as velvet bean, native to Africa and Asia and widely naturalized. 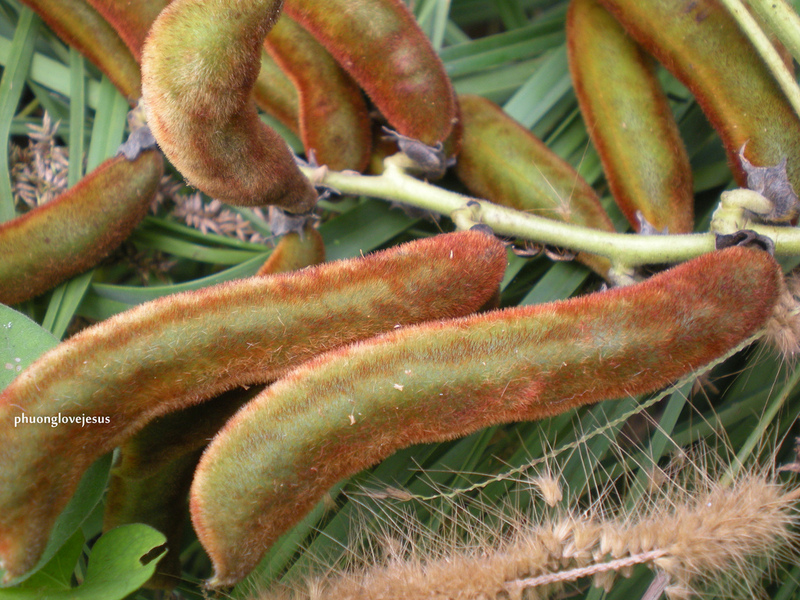 The plant is notorious for the extreme itchiness it produces on contact (this is where the name “cow itch” comes from), particularly with the young foliage and the seed pods. It has value in agricultural and horticultural use and has a range of medicinal properties. 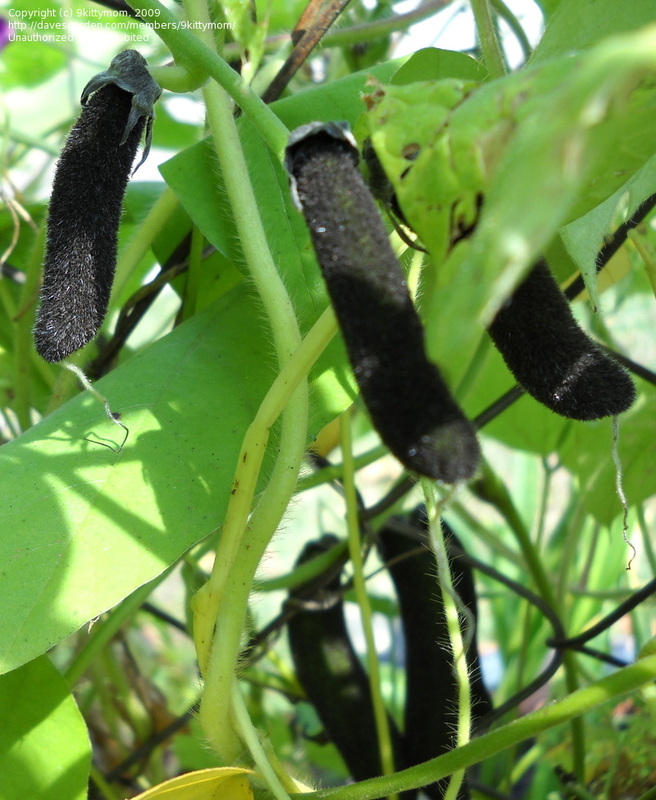 The plant M. pruriens, widely known as “velvet bean,” is a vigorous annual climbing legume originally from southern China and eastern India, where it was at one time widely cultivated as a green vegetable crop. 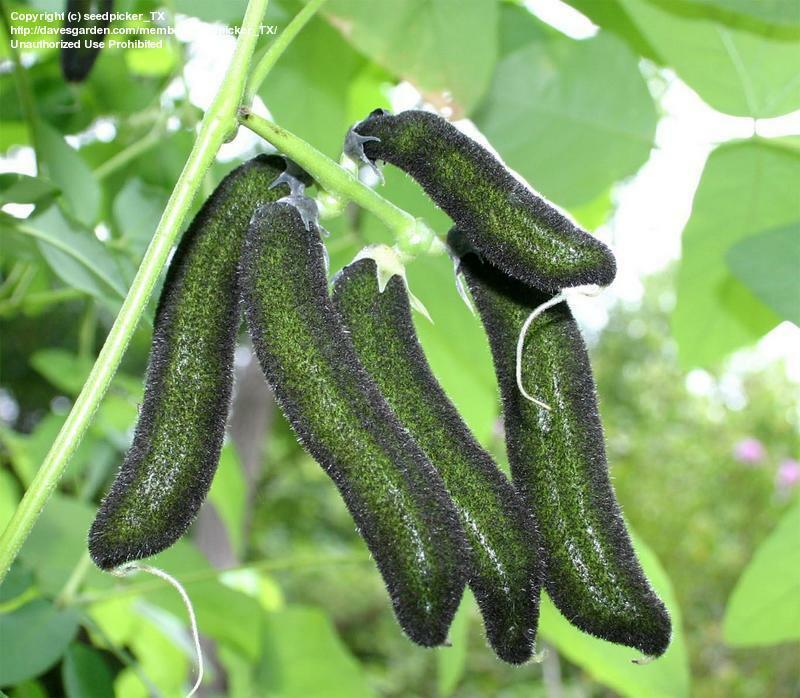 It is one of the most popular green crops currently known in the tropics; velvet beans have great potential as both food and feed as suggested by experiences worldwide. 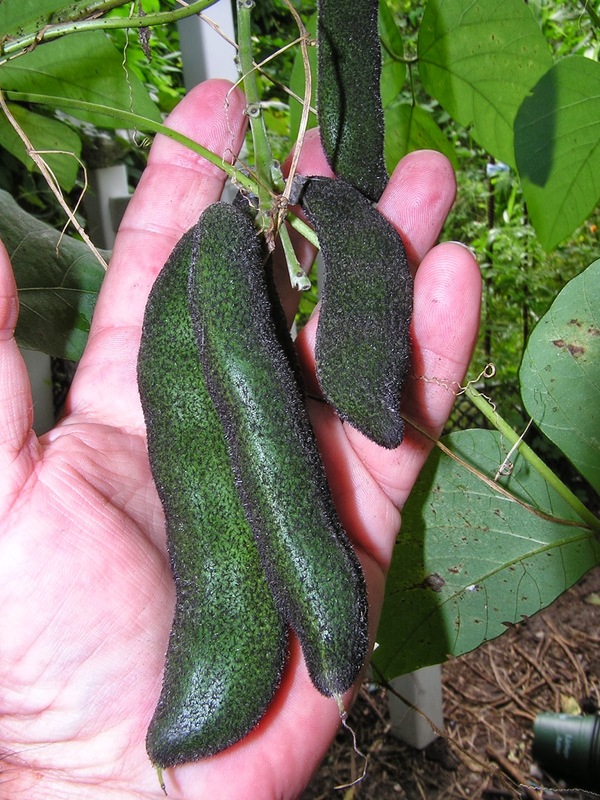 The velvet bean has been traditionally used as a food source by certain ethnic groups in a number of countries. 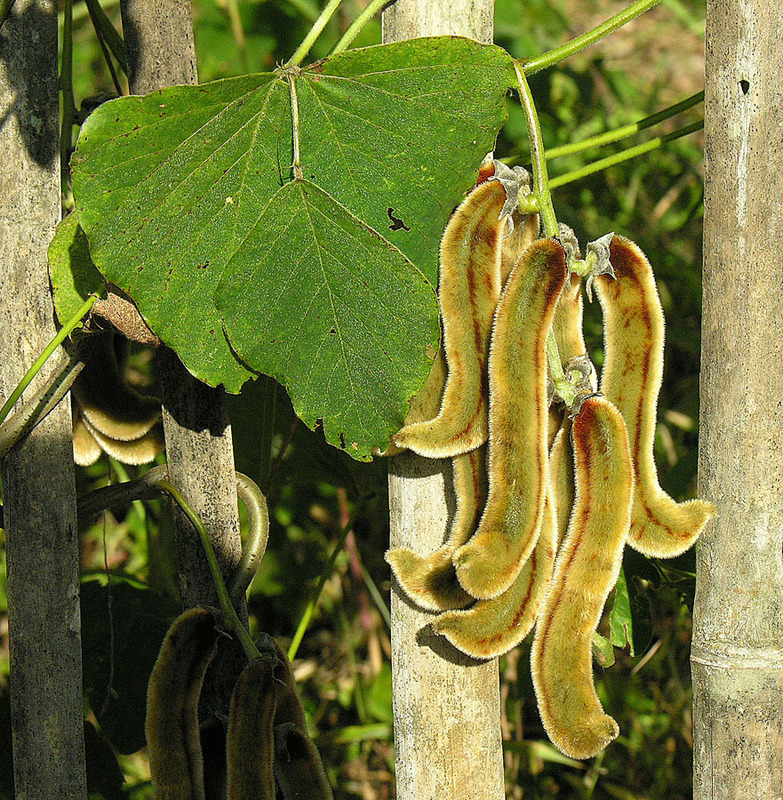 It is cultivated in Asia, America, Africa, and the Pacific Islands, where its pods are used as a vegetable for human consumption, and its young leaves are used as animal fodder. The plant has long, slender branches; alternate, lanceolate leaves; and white flowers with a bluish-purple, butterfly-shaped corolla. 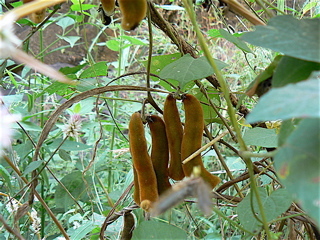 The pods or legumes are hairy, thick, and leathery; averaging 4 inches long; are shaped like violin sound holes; and contain four to six seeds. They are of a rich dark brown color, and thickly covered with stiff hairs. 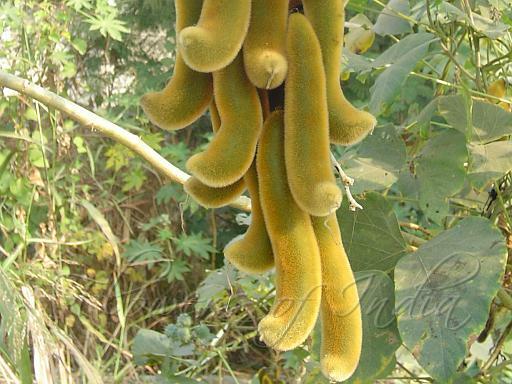 When the plant is young, it is almost completely covered with fuzzy hairs, but when older, it is almost completely free of hairs. 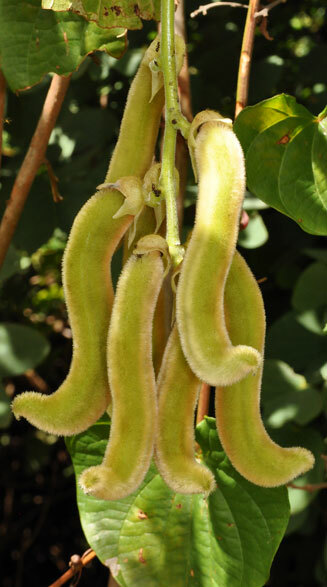 In the fruit ripening stage, a 4 to 13 cm-long, 1 to 2 cm-wide, unwinged, leguminous fruit develops. There is a ridge along the length of the fruit. The husk is very hairy and carries up to seven seeds. The seeds are flattened uniform ellipsoids, 1 to 1.9 cm long, 0.8 to 1.3 cm wide and 4 to 6.5 cm thick. M.pruriens bears white, lavender, or purple flowers. Its seed pods are about 10 cm long and are covered in loose, orange hairs that cause a severe itch if they come in contact with skin. The chemical compounds responsible for the itch are a protein, mucunain and serotonin. 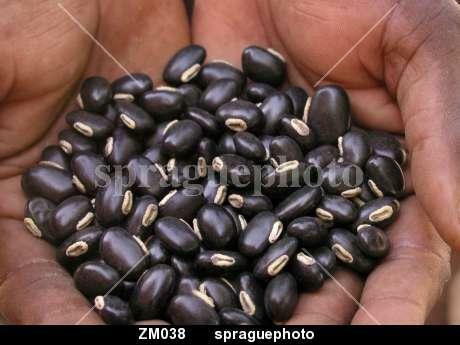 The seeds are shiny black or brown drift seeds. 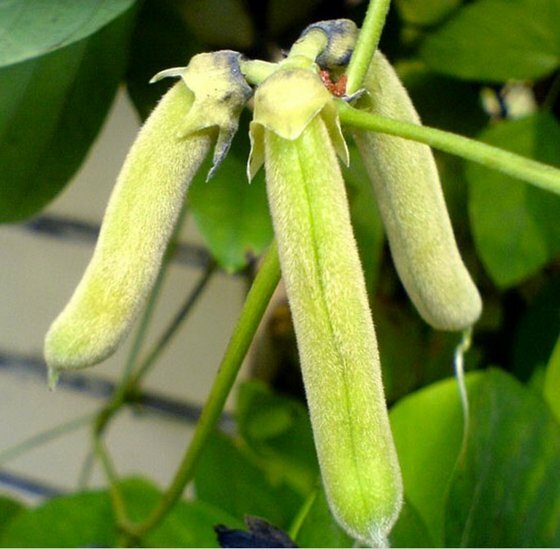 Mucuna pruriens (Fabaceae) is an established herbal drug used for the management of male infertility, nervous disorders, and also as an aphrodisiac. 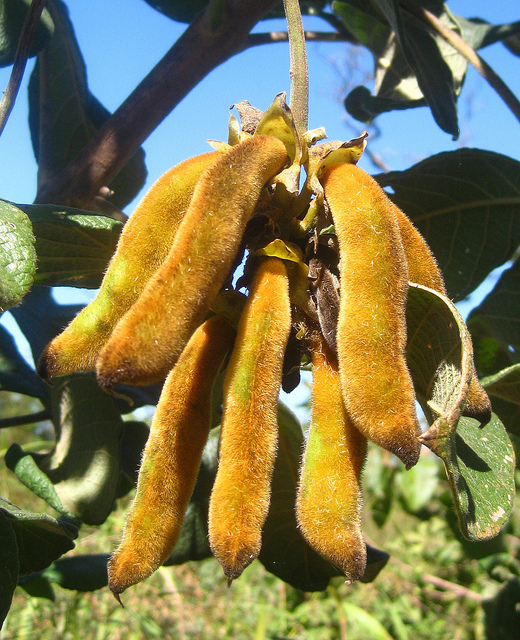 It has been shown that its seeds are potentially of substantial medicinal importance. The ancient Indian medical system, Ayurveda, traditionally used M. pruriens, even to treat such things as Parkinson’s disease. M. pruriens has been shown to have anti-parkinson and neuroprotective effects, which may be related to its anti-oxidant activity. Velvet Bean Extract contains 15% L-Dopa which is the immediate precursor of Dopamine. Dopamine is a neurotransmitter that promotes enjoyment and interest in life.